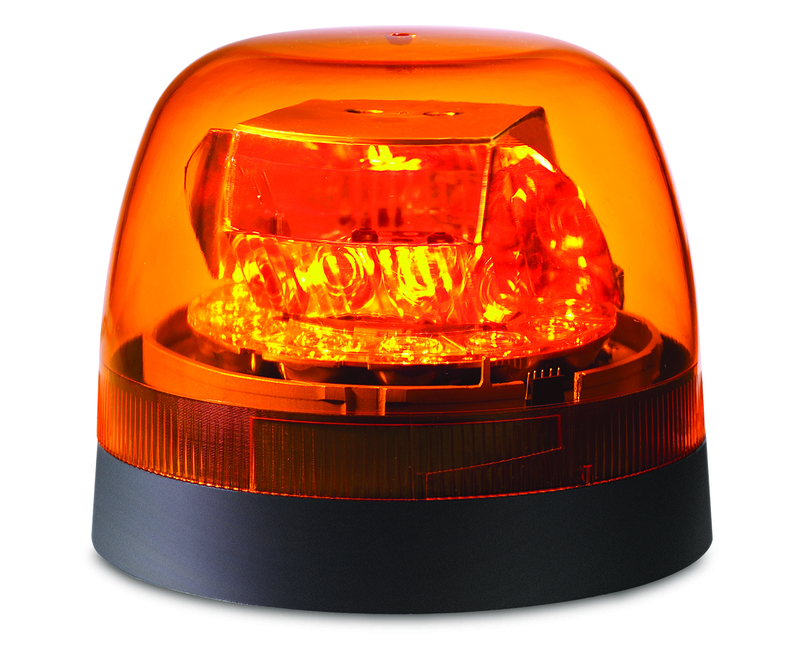 Federal Signal’s SLR beacon combines traditional rotating technology and LEDs in one unique package. Utilizing Federal Signal’s patented Solaris LED reflector technology this beacon packs an unmatched warning signal that is suitable for a variety of large vehicle applications such as DOT, construction, utility operations and fire trucks. Compared to traditional 12 VDC halogen rotating beacons, the Federal Signal SLR beacon operates on about half the Amp draw (Federal Signal Model 100, 4.3 Amps at 12 VDC). This encourages vehicle efficiency while maintaining superior warning for work zone safety—SAE Class 1 and Class 2 versions are available. The Federal Signal SLR beacon has (3) rotating speeds built-in to every unit so users have the flexibility to choose from 75/90/120 RPM. Each SLR beacon also has capability to operate on either 12 or 24 VDC work trucks. The SLR beacon is powered by a gearless motor that encourages extended product durability.